Homoeopathy today is a rapidly growing system and is being practiced all over the world. It strength lies in its evident effectiveness as it takes a holistic approach towards the sick individual through promotion of inner balance at mental, emotional, spiritual and physical levels. When varicose vein is concerned there are many effective medicines available in Homoeopathy , but the selection depends upon the individuality of the patient , considering mental and physical symptoms. 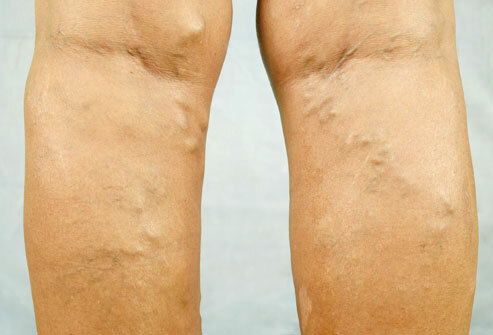 VIPERA 30 - There is bursting pain in the Varicose Veins as the limbs are allowed to hang down. The patient has to keep the limbs elevated to avoid the pain. Enlarged veins with cramps in the lower limbs.